Unofficial play stores like AppValley Android Store are the new go-to for modified and free content, and it’s all Free. Absolutely. As an Android user, you don’t even need to root your device to do this. This means that you can easily install modified content on your Android device in the same way that you would download an app from the official Play Store . 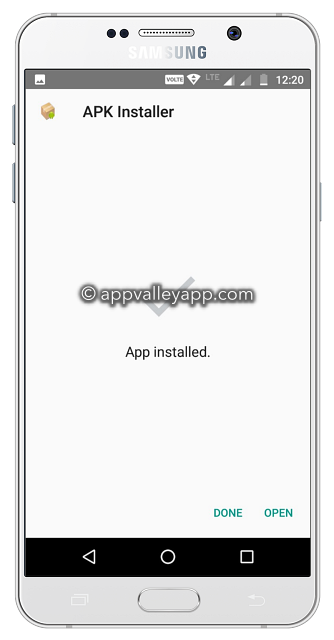 Installing AppValley is very simple and takes no more than a minute or two if you follow our steps carefully. Double tap on the file and it will be installed to your Android device; leave it until the process has finished. Find and enable the option for Unknown Sources; otherwise, the app won’t work. Now you can use any unofficial APK file on your device without any trouble. AppValley is an unofficial app store that was originally released for iOS users. Given the high level of adoption and an increase in demand, the developers have now opted to support Android devices too. AppValley is one of the most comprehensive app installers, packed with apps, games, Cydia tweaks and more and much of it will not be found anywhere else than in this installer. Nothing, so give yourself a treat and download AppValley on your Android device today. If the Android version of App Valley is not working for you or you want to try something better, then try the ACMarket app. Its a dedicated Android solution for for downloading modified APK apps and games. Note: The links above are the only official links for the installer. Search the internet, and you will find a ton of false links that are nothing more than spam or, worse, malicious files in disguise. Use the links we provide to download AppValley onto your Android device today and take advantage of a vast number of modified and free apps and games that you won’t get from anywhere else. If you do run into trouble with it, let us now, and we’ll do our best to fix things for you. In the meantime, follow us on Facebook, and we’ll make sure you get all the attest updates, news, and cool Android app tips. where’s the link to download the APK???? links have been updated. Please use the new links above. hi , yes this page provides the apk, so you need to go to the iOS download page.